Sydney’s premium Disco duo Keep it Disco are bringing their infamous party to the main room of Oxford Art Factory. Remembered only through thick haze and the call of the disco ball, their first instalment of 2018 presents an extended AM boogie encompassed by their most extensive XL-mirror-ball exposé yet. Chartering your course through the night sky, Keep it Disco fav and all round super selector Adi Toohey will navigate your journey through the retrospective clouds of disco. Find yourself a friend and get down Saturday night, march 24th. Boogie advocates Keep it Disco return Friday November 3rd for their monthly procession at Cake Wines Cellar Door. Find yourself a friend and join together to experience that which lies in the retrospective clouds of Disco. The Afro, the Euro, the Italo, from LA to New York it’s a Disco Pow Wow not to be missed! Boogie advocates Keep it Disco return Friday October 6th for their monthly procession at Cake Wines Cellar Door. Find yourself a friend and join together to experience that which lies in the retrospective clouds of Disco. The Afro, the Euro, the Italo, from LA to New York it’s a Disco Pow Wow not to be missed! Musical Hosts by the way of Andy & Oscar. After two rotations around the sun Keep it Disco returns to celebrate two years in the Disco. Find yourself a friend and join purveyors of Disco Brudo & Hux as they spin the fun fruity flavours you know and love from 6pm till close. Boogie advocates Keep it Disco return Friday August 4th for their monthly procession at Cake Wines Cellar Door. Find yourself a friend and join together to experience that which lies in the retrospective clouds of Disco. The Afro, the Euro, the Italo, from LA to New York with a flyover Suriname, it’s a Disco Pow Wow not to be missed! Musical Hosts by the way of Brudo & Hux + Preacha. 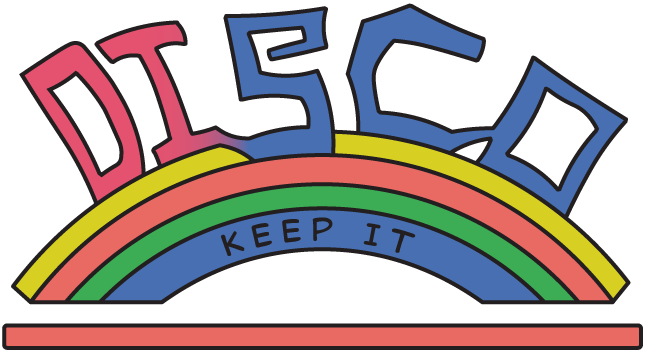 Keep It DISCO returns to the cellar door to journey through disco, complete with balloons, haze and all! As the weather cools down find warmth on the Cellar Door D-floor as dance, romance and vino come into a succinct unity. Find yourself a friend and join K.i.Disco’s Brudo & Hux along with Adi Toohey on the soul train that stops all stations to a good time! It’s a lil fruity, a lil fabulous and a whole lotta fun! Join us Friday May 19th as Keep It DISCO returns to the Cellar Door for yet another sultry affair. Joining the usual suspects Brudo & Hux, K.i.Disco welcomes back the man, the messiah, the redeemer of disco Andy Webb / Disco Delicious who elevated their first ever party almost 2 years ago into a hands in the air affair!